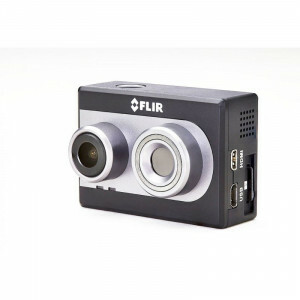 Thermal sensor resolution: 160x120 pixel, weight: 84g, dimensions: 41x59x30mm. Take thermal to new heights with the FLIR Duo! A compact, lightweight, dual-sensor thermal and visible light imager designed for drones. 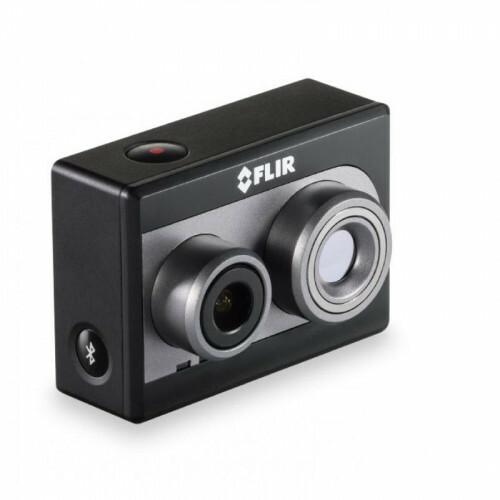 The same size and shape as the most popular action cameras, the Flir Duo offers powerful features like on-board recording and real-time remote control of camera functions over PWM - plus MSX multi-spectral imaging enhancement. The Duo combines thermal imaging with 1080p color video in the popular action camera size and shape. Its analog and digital HDMI live video outputs let you view thermal or visible imagery alone, or combined in MSX or Picture-in-Picture format. Not only does the Flir Duo capture digital video files, it can also capture still images for later analysis in the free FLIR Tools software package. In FLIR Tools you can combine the two images together with the MSX Blending feature for even more image detail. Remotely control up to two camera functions with PWM inputs and configure your camera's recording and control settings over Bluetooth with the intuitive FLIR app for easy setup in any application. Dual-sensor thermal and visible light color imaging in a compact action camera form factor. Accepts 5-24VDC input power and outputs both analog and HDMI digital video. Easy Set-up & Configuration through Mobile app (iOS and Android) and built-in Bluetooth. The On-Board Recorder records digital thermal and 1080p color video and stills to an on-board microSD card. Configure and control the camera in the air with up to two PWM inputs.